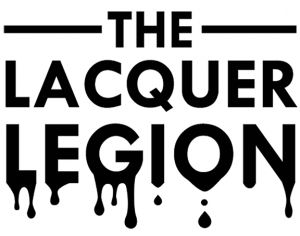 Can you believe this is officially the half-birthday of the Lacquer Legion?! I'm so excited for this post every month. I've discovered some great bloggers through the monthly hashtag! So this month's prompt is OnHoliday. My family had to postpone the annual summer vacay this year until the Fall. Since that's a ways off, I decided to focus on a literal holiday instead - the Fourth of July. I recently got the most amazing nail mail from Salon Perfect with tons of awesome red, white and blue (and gold and silver!) goodies, so I went to work creating a themed skittle mani. Salon Perfect released 15 (yes, 15!!) new polishes in their Paint the Town Red, White and Blue Collection. 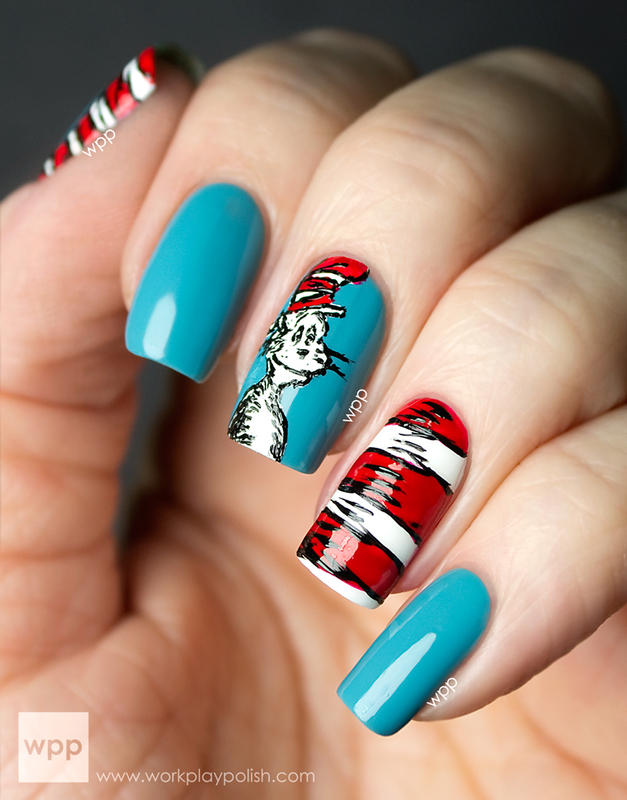 The set also included decals, striping tape, dotting tools and more. I was overwhelmed with the choices! I used quite a few different things for this USA-tribute nail art. I love Paint the Town Red! It's such a clean red. But I think the pinky is my fave. It looks so fancy and yet it literally took zero skill. After the red base, I swiped on a single coat of Star Spangled so I'd get the silver sparkled base. Then I picked up individual stars with the dotting tool to place them where I wanted them. Speaking of the dotter, I'm digging these tools. There were two in the pack. One was a double-sided dotter and one was a dotter and brush combo. The brush was tiny with good control. I used it to paint my flag. The Salon Perfect Paint the Town Red, White & Blue Collection is available now as part of a limited edition promotional display at select Walmart stores nationwide. 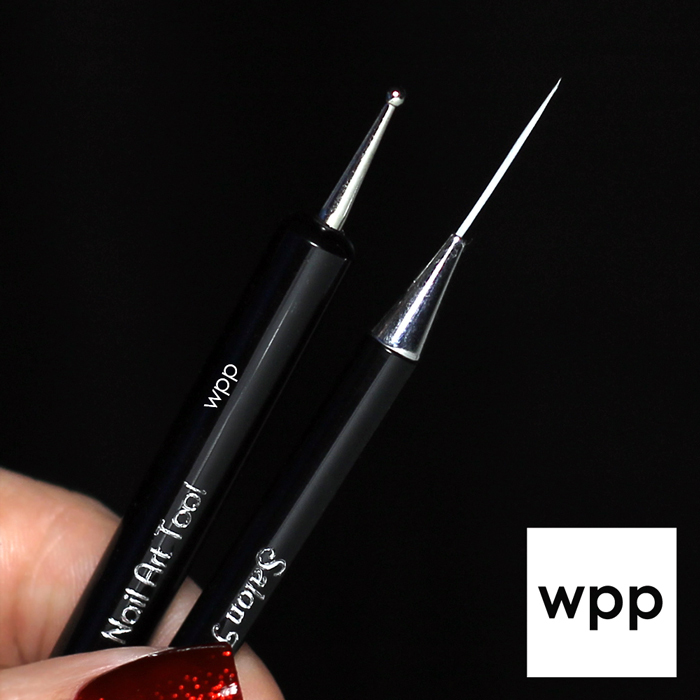 Polish, pens and tools will retail for $3.98 each and the Nail Art Liners, Decals and Striping Tape will retail for $1.98 each.View the complete Salon Perfect collection at www.SalonPerfect.com. I can't wait to see the other OnHoliday manis! I have visions of beaches and camping and European destinations dancing in my head. Be sure to use the #LLOnHoliday hashtag so we can find you. 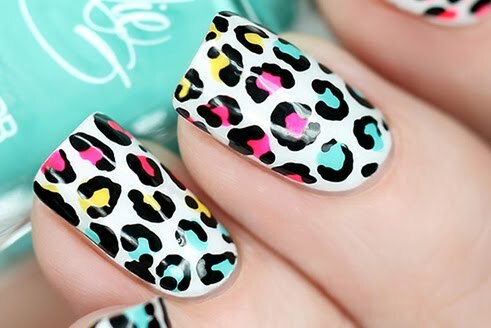 Check out the Lacquer Legion Facebook where we'll feature some of our faves at the end of the day!